It’s been over a decade since Pixar Animated Studios’ highly regarded Monsters, Inc. (2001), and fans have been eagerly awaiting a return to the universe since. Directed by Dan Scanlon – who replaces Pete Docter at the helm – Pixar have done a good job of whetting our appetites, what with the 3D re-release of Monsters, Inc. late last year as well as a teaser trailer. Now we have our best look yet in the first full length trailer, and it promises more animated fun. Monsters University (2013) will focus on the college years of Mike Wazowski (Billy Crystal) and James P. Sullivan (John Goodman). Before they became the delightful duo we know and love, Mike and Sully were mismatched roommates who couldn’t stand one another. However, when a larger dilemma forces them together, they must overcome their differences. 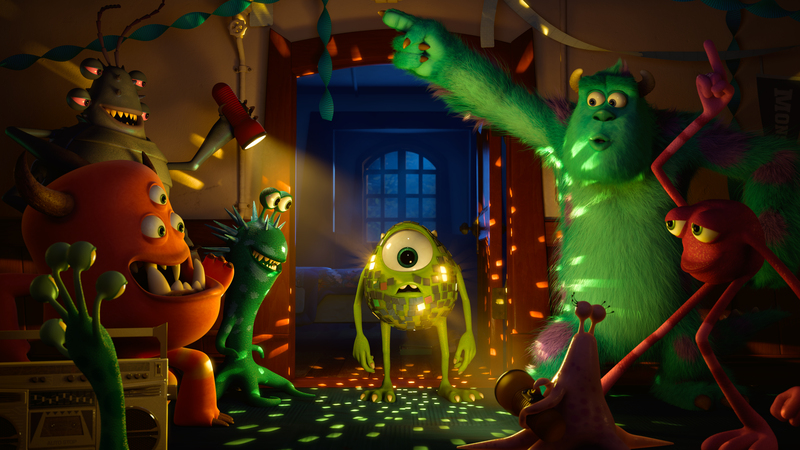 Watch the trailer for Monsters University at CineVue here. This entry was posted on February 12, 2013 by Amonymous. It was filed under Film Trailers and was tagged with Billy Crystal, Dan Scanlon, John Goodman, Monsters University, Pixar.